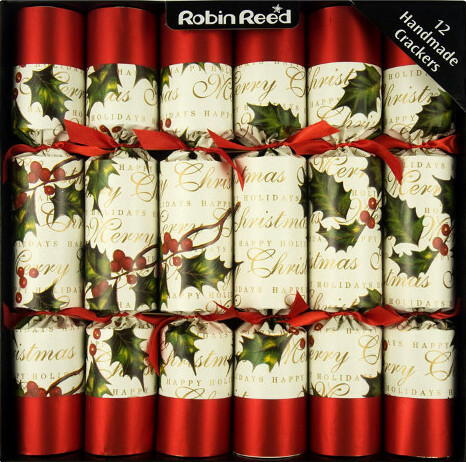 Traditional Christmas crackers with a holly leaf pattern. These elegant Christmas crackers feature a holly print on high quality paper with linen embossing. Finished with red foil ends and red ribbons.